When someone says the word, “driver”, what pops into your mind? If you are like most people, you probably think of those who drive cabs for a living or frustrated commuters traversing jam-packed highways. These are all understandable lines of thought. However, the definition of driver is changing. It is now possible for a completely empty vehicle to drive itself right on down the road without a human being in sight. Computers are now drivers. According to Wikipedia, a “driver” is an occupation as well as an activity. The popular website defines it as, “a person engaged in driving”. Pay close attention to the wording of this definition and you will notice it centers on human activity. Wikipedia states that only a “person” can be a driver. There is no mention of automated drivers. This will soon change. Autonomous vehicles controlled by complex computers are currently traversing the streets of America. The truth is that computers now qualify as “drivers” just as much as flesh-and-blood human beings. The Oxford Living Dictionaries’ website defines “driver” as a “person who drives a vehicle”. Once again, the emphasis is on the human element of driving. The operative word in this definition is “person”. This definition will prove short-sighted in the years to come. Though self-driving vehicles are not rolling down every street in the United States, their popularity is rapidly growing. It won’t be long until human drivers share the roads with computer drivers on a daily basis. Though most people would be shocked to see an empty vehicle rolling down the street in 2016, it will be commonplace in the near future. Perhaps Wikipedia and The Oxford Living Dictionaries will revise their definition of “driver” once autonomous vehicles reach a mainstream tipping point. Look up the word, “driver”, in the coming years and you will likely find a markedly different definition than you did in 2016 and years prior. The word will soon be defined as, “a person, machine (computer) or any combination thereof that operates a vehicle”. 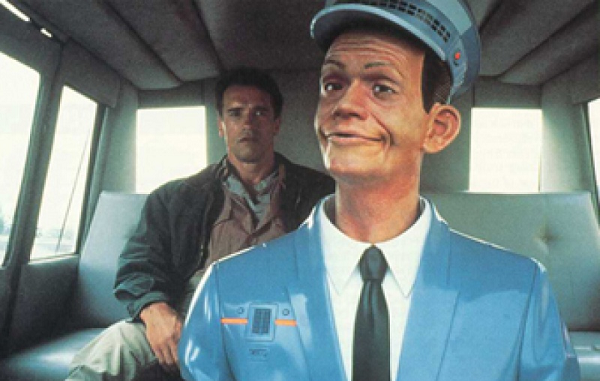 It is reasonable to assume that autonomous vehicles controlled by computers will outnumber human vehicle operators in a few decades. As long as autonomous vehicles prove to be better drivers than inherently flawed human beings, the potential exists for machines to completely take over all driving responsibilities. After all, a computer can be programmed to avoid mistakes and obey laws. The same cannot be said of human beings. If you had access to time travel technology and could instantaneously leap to the year 2027 or 2037, you would likely find that vehicles look and function quite differently than they do today. Though it might take half a decade or longer to fill the skies with flying vehicles like those in The Jetsons, it is quite possible that the dangerous task of driving will eventually be completely automated. Perhaps magnets, sensors, cameras or a combination of these technologies will be central to road travel in the coming decades. It is even possible that driver-less vehicles will be controlled from a central traffic control hub. It is within the realm of possibility that the definition of “driver” won’t include the word “person” in a few decades. Society might reach the point where it is determined that human beings cannot be trusted to operate vehicles as automated vehicles will likely maneuver through traffic without flaw. Such a development might actually be embraced by the majority of human drivers. After all, most people would prefer to look into their smartphone or watch in-vehicle entertainment rather than negotiate the road’s never-ending challenges.